Although content marketing is rapidly ascending the ladder as an effective component of the communications tool kit, the biggest nightmare associated with its rise has been the need to develop a coordinated social media management system. When a social media agency develops a series of Facebook posts to help establish a brand message or promote a particular product this information circulates amongst the players at the agency for input, and is then forwarded to the client for approval. And that’s when problems begin. The client asks for a different picture to be associated with a Facebook post, comments about a phrase, or asks if certain information can also be incorporated as an Instagram repost. The social media manager circulates the requests to the internal players and departments and asks for revisions, which are again sent to the client. As the process inches forward, email threads become longer and longer until it finally becomes clear that nobody truly knows the current status of these posts. Excel spreadsheets which try to capture all applicable information become unwieldy, or don’t get updated with the latest changes. The worst case scenarios are that no information gets released to target markets or something gets published without the client’s consent. In either case, it can send the wrong message for the client and spell disaster for the agency. Surely there has to be a way to end this nightmare cycle. 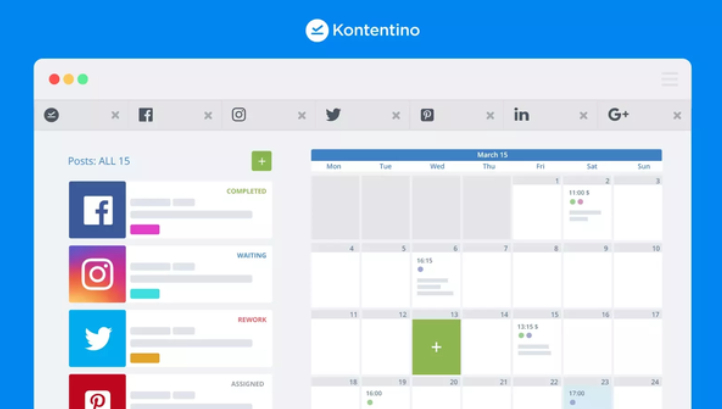 Fortunately, there is with Kontentino, an intuitive social media tool for agencies and clients. Kontentino was founded in 2014 by Triad, a leading European advertising agency. We experienced the approval nightmare ourselves, and knew well the perils of using emails, Excel spreadsheets, cumbersome Google Docs and PowerPoint presentations to co-create and approve content for social media management. Instead of focusing on the best ways to advertise on Facebook or advertise on Instagram, we also became ensnared in the complicated internal process of updates and approvals. 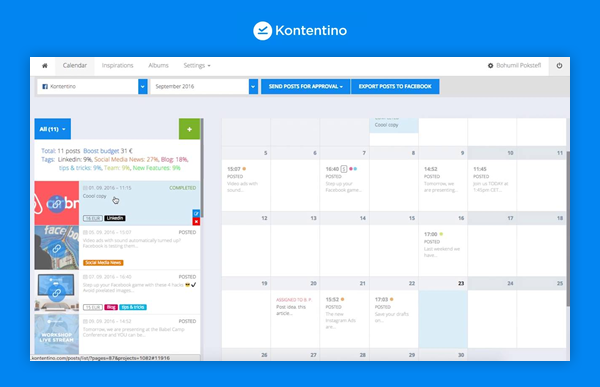 Since there were no available tools to efficiently solve the challenge, management set our in-house developers to work to develop a customized tool – which led to the creation of Kontentino. Access: Use the easily-accessible social media calendar to simplify social media creation and approval. Ease of use: All content looks exactly like it will as a Facebook post so you won’t have to wonder how the approved content will appear. Visibility: All posts are visible on one screen in both a calendar overview and ordered as a list. You can take items one at a time or get an overview of what is scheduled to run for the whole month. Control: Keep track of posts in every stage of the approval process. Tag posts as needed to make sure you get the final content topic composition correct. Planning: Use the overview to extrapolate and plan your monthly boost budget. Enhanced communication: Clients can access the portal and approve posts, or leave comments for revisions and updates. Nobody needs to update a spreadsheet or take any further action to communicate to others in the agency. All authorized parties can see this information and all post versions to instantly know the status of a particular post without having to scroll through an entire thread. Scheduling: When everyone is happy, and the client has approved the final product, the approved content can be scheduled to the Facebook page with one click. Future ideas: If you’ve got an idea or inspiration for a future campaign, you can simply store it right in Kontentino for future use. International: We even include translation capabilities for international clients. 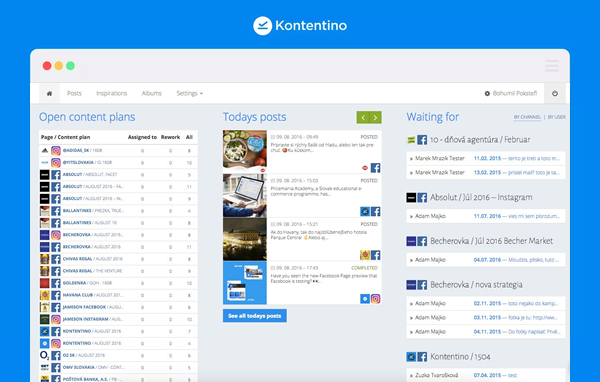 Kontentino is the only tool which supports all social media post formats including 360° photos or carousels in live-preview. 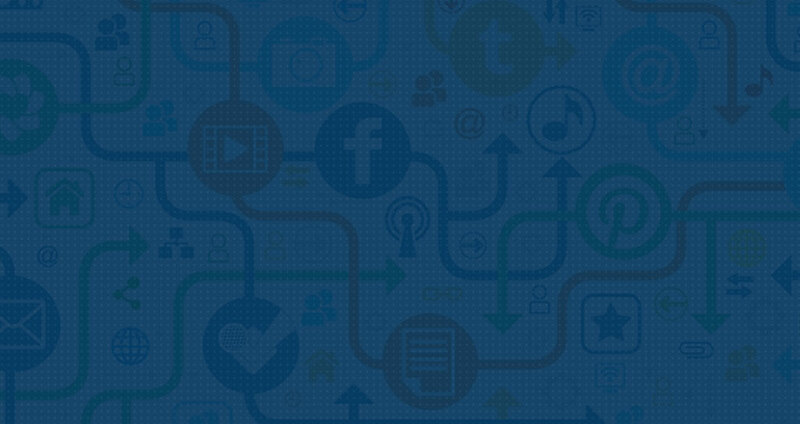 Now you can have all of your social media posts conveniently located in one place and perfectly organized. Our intuitive calendar helps provides you and the client with a quickly-understandable overview of all the social media content across all social media platforms. The live post preview feature allows for client-friendly approvals. No more wondering if your client has the imagination to put together various components and visualize completed content exactly the way it would look posted on social media platforms such as Facebook, Twitter, LinkedIn or Instagram. You can even take advantage of Facebook’s latest features like the 360° photo or the carousel format, which have both become extremely popular for social media managers. They enable new creative options and open new opportunities to present unique, engaging and stand-out content that client and consumers will absolutely love. There is so much more that can be done now on Facebook, Instagram, LinkedIn and Twitter to capture the attention of a target audience. 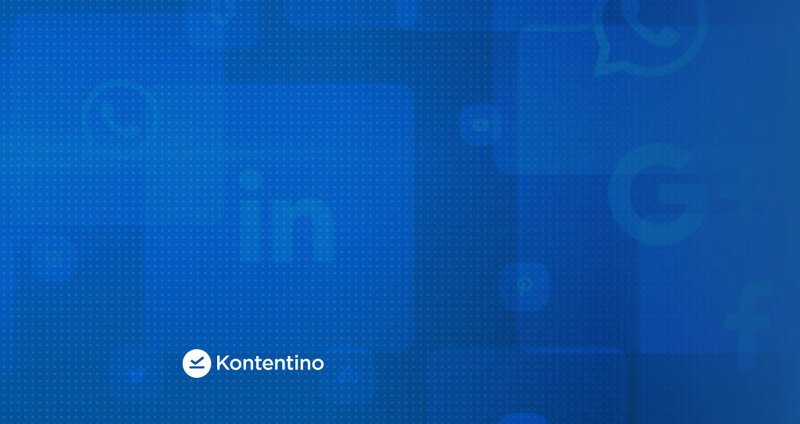 Don’t get bogged down by the approval nightmare – use Kontentino and engage in fearless social media marketing. 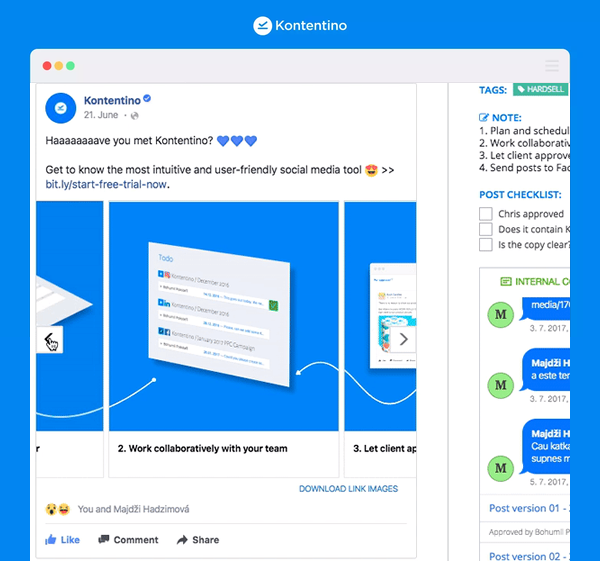 About Kontentino: Kontentino is a social media management tool which enables social media managers to seamlessly collaborate with clients on and approve social media content and ads. It has been ranked by Capterra in the Top 20 of Most Popular Social Media Marketing Software, and is a G2 Crowd 5-star “High Performer” for Spring 2018. Visit the website at https://www.kontentino.com to sign up for a free trial or request a demo. “Like” the Facebook page to receive tips on developing, implementing and tracking a social media marketing strategy.